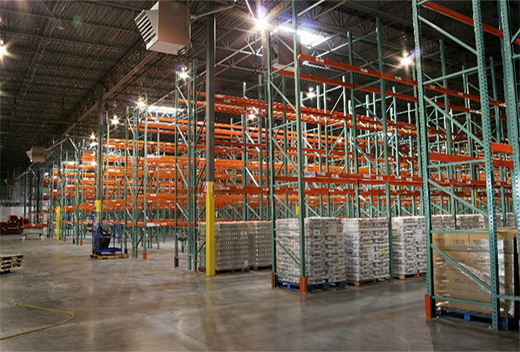 Moving a business that owns a warehouse and inventory is far more complex than moving an office. In any business, down time from a move means disappointed or irate customers, lost income and wasted salaries. Mislaid, broken or stolen supplies compound the chaos and can be catastrophic, especially for a small business. That’s why choosing the right mover is essential. Selecting a moving company with substantial knowledge about moving businesses and warehouses is the best move you can make! A good commercial mover understands the logistics and complexity of the operation and what can go wrong, and knows the fastest way of ensuring your stock is unpacked and accessible. This is no time to take risks by choosing the cheapest quote or using your staff and trucks to handle the move yourself. Fortunately, Affordable Moving & Storage combines extensive experience in business warehouse moving with rates even the smallest company can afford. Based in New Jersey, we’re part of your community, with numerous local clients who can vouch for our expertise in relocating their enterprises and plants swiftly and smoothly. We specialize in same or next day service to destinations within a 500-mile radius and in quick set up, ensuring no disruption to your business. We’re also familiar with the commercial and industrial parks in the area as well as local requirements and regulations. Having a clean warehouse pad is like having a clean slate. This is the prime time to re-examine your whole operation and see what can be optimized. Look at your facility layout and evaluate whether work flow could be improved by moving components or departments around. Think about storage, product selection, and time saving. And remember to sell or discard obsolete inventory! Affordable Moving & Storage can provide you with a moving checklist to ensure your warehouse move goes smoothly. They include about 100 tasks to assure nothing is overlooked. 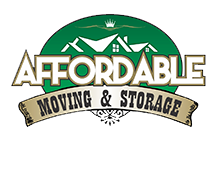 Affordable Moving & Storage partners with you, your staff and recommended outside installers or companies to form an expert team with the complete range of skills necessary to plan and execute your move successfully. We’ll fully explain the responsibilities of each party and the materials, equipment and procedures involved. We’ll also outline our efficient labeling system. If you’re short of hands and want to avoid breakages and save time, our skilled employees can pack and unpack for you. Avoid wasted time and possible injuries to your workers by using us to remove items from shelves and racks to palletize or pack them into extra large boxes. Our staff participate in on-going training, stressing proper moving procedures, packing techniques, and job safety. They form an integral part of our operation and are never casual or pick-up laborers. We’re aware that moving a warehouse is the perfect opportunity for thieving of tools or inventory. Affordable Moving & Storage can uninstall your cubicles and work stations, and expertly reinstall them at your new location. We can also disassemble your panels, table tops, file cabinets and overhead compartments. Because many office panels have built-in electrical outlets, an electrician is sometimes needed on-site to disconnect the electrical feed and ensure the safety of your office equipment. We disassemble and reassemble racking on a small scale but will refer you a specialized firm for larger jobs. Our recommended installers and moving experts also have experience working on most of the basic systems furniture available on the market. Affordable Moving & Storage are experienced industrial machinery movers with the most up to date forklifts, trucks and trailers. For extremely large machinery, we refer you to an expert third party to guarantee speed and safety. Our climate-controlled trucks ensure that perishable or temperature-sensitive inventory arrives at your destination in perfect condition. Moving your business is our business. Big or small, we do it all.